The smallest of three churches in the town, this started as a daughter church of St John’s and became a separate parish in 2000. 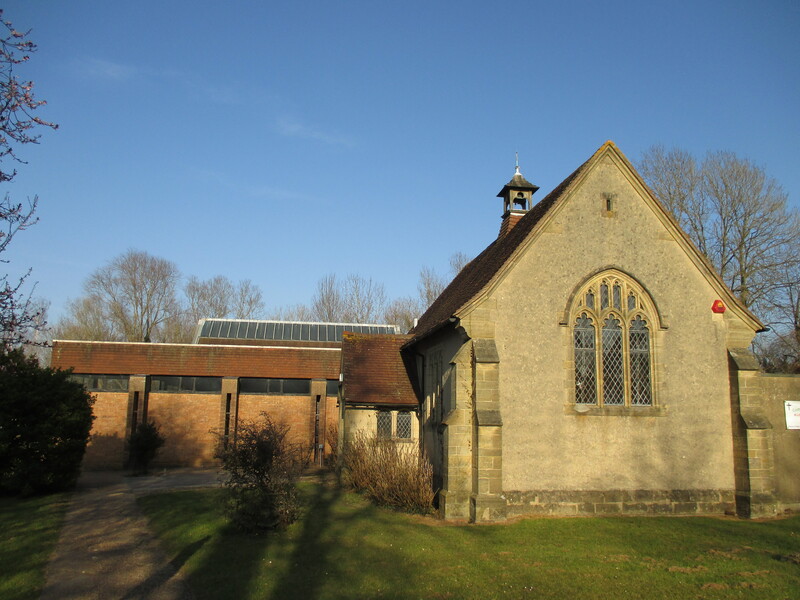 The church complex is in two parts, developed from what was originally a stone-built cemetery chapel with Perp details, which probably dates from the early C20; no architect’s name is recorded. A large graveyard remains. This church is today used as a hall, after the addition of a larger structure on the east side in 1968, which is now the main church. It is built of brick and tile and is flat-roofed except down one side which has a steeply pitched roof. Glass: (East window) Abstract using glass and epoxy resin (dalle de verre), by H Powell, 1972 (DSGW 1972).